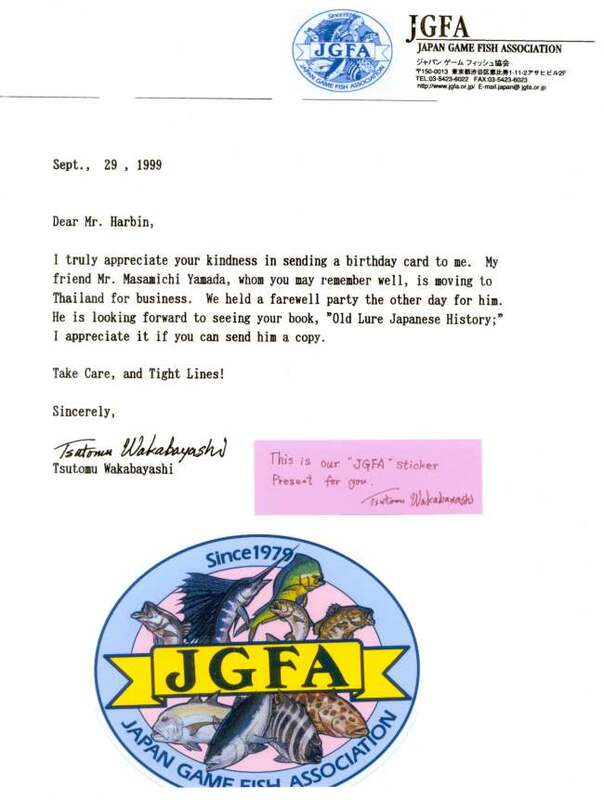 Mr. Tsutomu Wakabayashi Early Involvement - By letter on May 9, 1979 Mr. Tsutomu Wakabayashi introduced himself to Mr. Clyde A. Harbin as a B.A.S.S. member of Japan and of the USA that is interested in collecting Old Classic Bass Plugs. 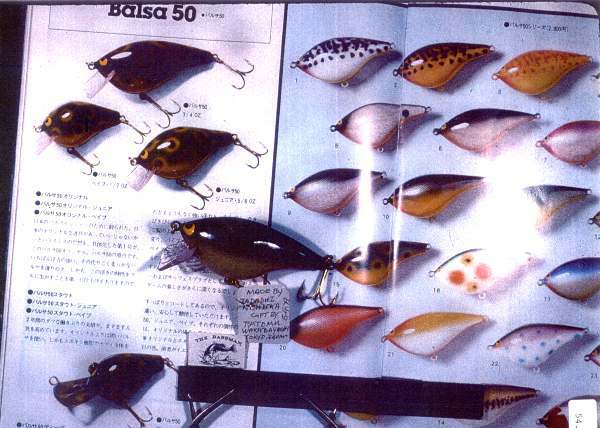 In a February 1978 issue of the Bass Masters magazine he read that Mr. Harbin was one of the top US old lure collectors. Here he learned about Mr. Harbin's book titled James Heddon's Sons Catalogs and requested two copies of his book. Along with the letter Mr. Wakabayashi presented Mr. Harbin with a gift of an Original Balsa 50. 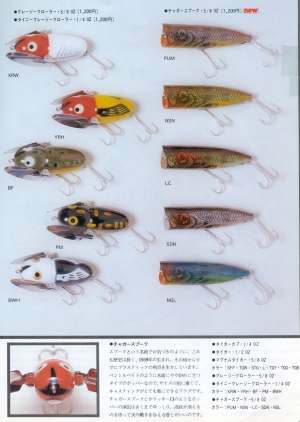 The Balsa 50's are beautifully hand crafted lures made by Mr. Tadashi Nishioka who is a skilled plug designer in Japan. Mr. Harbin responded immediately to Mr. Wakabayashi's letter and air mailed him two copies of his James Heddon Catalogue book along with four old Heddon wood lures and a C.A.H. "00" crank bait as gifts. He also told him that he is going to display the "Gift Original Balsa 50" along with 2,000 lures from his collection and a one hour color slide presentation to the Outdoor Writers Association of America, June 17, 1979 at the National Convention and Meeting in Albuquerque, New Mexico. Mr. Wakabayashi's father was so surprised at this kindness his son received that he said if you get the chance you must travel to the USA and meet this kind and famous man. His father also said he would provide him the necessary traveling expenses if he wanted to travel to the USA but at this time Mr. Wakabayashi was to busy and could not take the time to travel to the USA. It was always Mr. Wakabayashi's wish to travel to the USA to visit Mr. Harbin and spend some time together and discuss old lures. Mr. Wakabayashi was so excited and happy he had a difficult time sleeping that night and first thing in the morning he showed his bassin' friends the fine gifts Mr. Harbin had sent him. Later he got in touch with Mr. Nishioka and told him that Mr. Harbin will be displaying his Balsa 50 at the 1979 Albuquerque National Convention and Meeting. 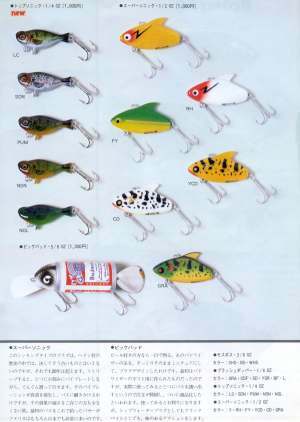 In an August 27, 1979 letter Mr. Harbin made some 600 lures from his collection available to Mr. Wakabayashi along with individual information if desired. As a gift, Mr. Harbin sent along a few rocks from the Dowagiac Creek where Mr. Jim Heddon fished. Mr. Wakabayashi replied and appreciated the rocks from the Dowagiac Creek and expressed a large interest in the 600 lures. He also sent along his want list and said he was interested in other manufactures such as South Bend, Shakespeare and Creek Chub. 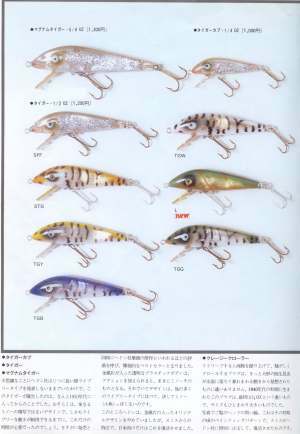 Mr. Wakabayashi joined the National Fishing Lures Collectors Club (NFLCC) in November, 1979 after Mr. Harbin recommended that he join the club. Mr. Wakabayashi was also encouraging Japanese bass anglers and old lure collectors to join the club. Mr. Tsutomu Wakabayashi was born in Japan on September 20, 1949. He was involved and participated in the early Japanese Bass Fishing and Japanese Old Lure Collecting. 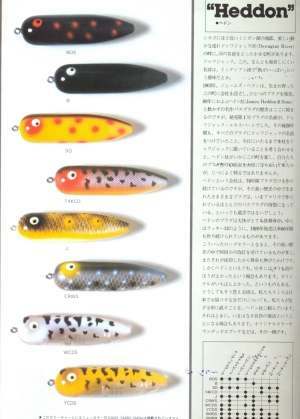 At this time few Japanese bass anglers knew of Mr. Wakabayashi's collection and few were interested in old lures. Mr. Wakabayashi planned on doing more advertising through newspapers and magazines to better inform Japanese bass anglers. 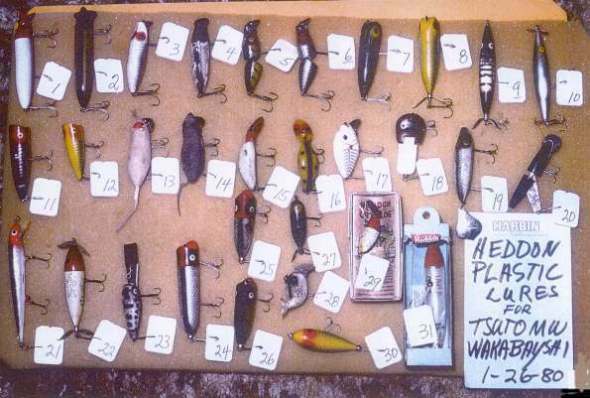 He also began spreading the word and telling his bass and lure collecting friends how to contact Mr. Harbin and obtain the needed printed information on old lures. This is just a few of Mr. Wakabayashi many early Japanese collecting efforts. Mr. Wakabayashi was employed by the Smith Co. Ltd. which distributes Fly and Bass fishing tackle for Japanese sport anglers. In order to help Japanese anglers enjoy the rich tradition of old-time Heddon lures the Smith Company made a special request to Heddon which they accepted. The Smith Co. asked Heddon to special make the Original Zara Spook, Magumum Torpedo, Baby Zara, Wounded Spook, Lucky 13 and the Zara II lures in their old Heddon colors that were used when they were first released. Heddon was bought out in 1983 and left Dowagiac the following year. 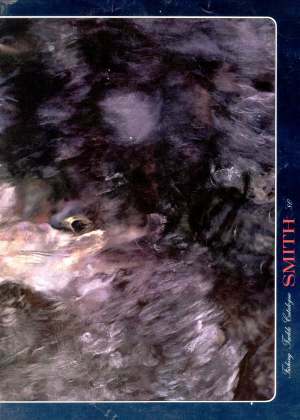 The Smith-Heddon lures were only produced for a short time. The Brush Hooper in the (above - right) Smith Catalogue shows a Heddon Brush Hopper with the original Hank Werner Buzz Blades. 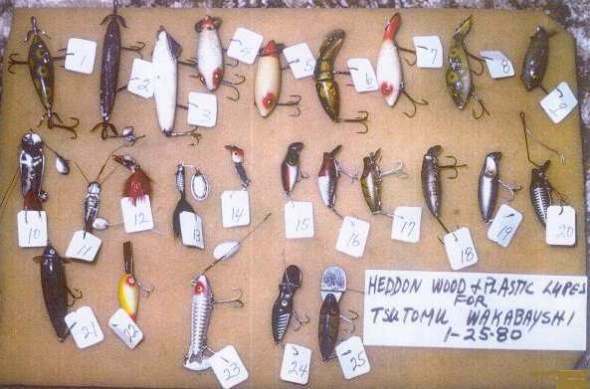 Mr. Harbin gave Bob Jones of the Heddon Dowagiac New Lure Designer his samples of the blade at the Heddon Dowagiac, Michigan 1977 NFLCC Swap meet. 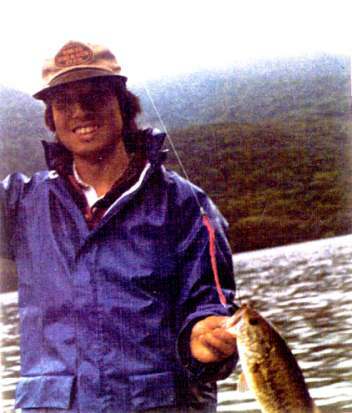 September 29, 1979 Mr. Wakabayashi caught two large mouth bass that were over 23" at Lake Ashinoko, Japan. That year there was no other Japanese bass anglers that caught a bass that were larger than these two bass that Mr. Wakabayashi caught that day. Back then, most bass lakes and ponds in Japan were over fished and the bass population and size limits were decreasing every year because of poor lake management. It is said that it is very difficult for the novice bass fisherman to land a bass over 20" in length. 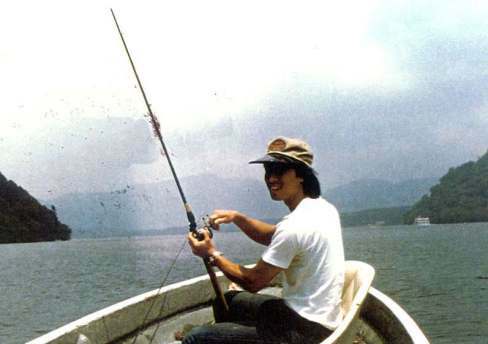 Below photograph is Mr. Tsutomu Wakabayashi, July 5, 1979 on Lake Ashinoko. Largemouth Bass were first introduced in Japan in 1925. 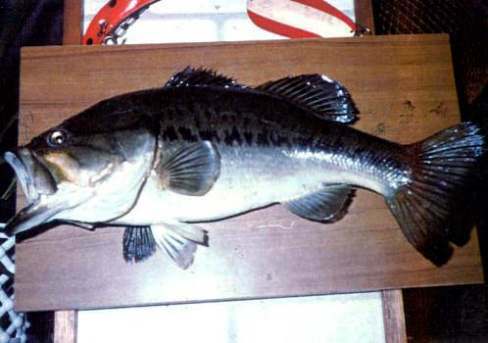 This mount is one of the two Largemouth Bass Mr. Wakabayashi landed July 5, 1979 at Lake Ashinoko. They also received a letter from a young Japanese bass fisherman and new lure collector. I will quote his letter below. Quote - Gentlemen: I am a Japanese boy who is interested in fishing I came to you through Mr. Susumu Wakabayashi. My name is Hiroshi Imura, 14 years old. It's for only two years since I play Bass Game. And now I am interested in old plugs, and I would like to get some of them. I've been looking for Heddon Wood Classic Plugs made in about 1940's, but can't find any here in Japan. In Japan, some collectors make inquiries to some collectors clubs. Other go to the club, and buy or exchange the plugs. But, I don't have any plugs to exchange. So any plugs of Heddon Wood are also O.K. I would be very glad if you would inform me about the plugs and send me any information about the NFLCC. April 14, 1980 Mr. Harbin wrote to Hiroshi Imura and thanked him for his letter to the NFLCC. As a gift and to help this young Japanese collector start is old lure collection Mr. Harbin sent him ten old lures along with the historical data for each lure. 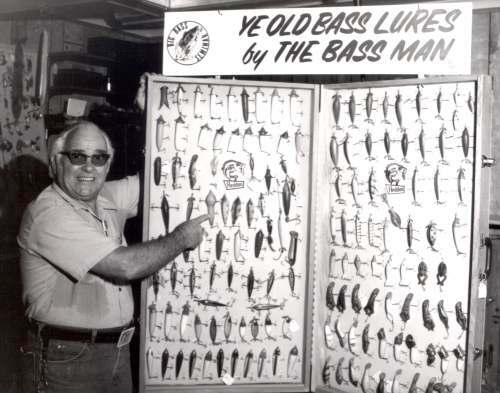 August 6, 1980 Mr. Harbin wrote and sent Mr. Wakabayashi more information sheets for his "James Heddon Sons Catalogues" book along with information on the newest book titled "Identification and Value Guide to Old Fishing Lures and Tackle by Carl F. Luckey". 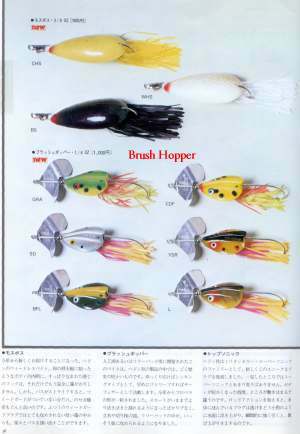 Mr. Wakabayashi made the new information sheets available to Japanese bass anglers and old lure collectors. Because of Mr. Harbin's kindness and his unbelievable assistance Mr. Wakabayashi now was becoming Japan's "No.1" Old Plug Collector. Mr. Wakabayashi wrote a special letter to Mr. Harbin to express his appreciation and gratitude for all of the assistance and kindness he received from his dear and very close friend Mr. Clyde Harbin Sr.. In November of 1980 on a fishing trip with friends Mr. Wakabayashi met Manri Yoshimoto the editor of the "Fishing" magazine which is the top fishing magazine in Japan. He told Mr. Yoshimoto about Mr. Harbin's great Old Lure Collection and he then said we should invite him to Japan. Mr. Harbin said he would be proud to present his Bas-Tek-Neke and Ye Old Bass Lure Seminars to Japanese fishermen. Mr. Wakabayashi worked long and hard to acquire sponsors and organize the trip to have Mr. Harbin present his seminars to Japanese anglers. The visit was planned for the last week in February 1982 but suddenly Mr. Eiichi Shibuke who was one of the sponsors that would have funded Mr. Harbin's visit resigned from the Smith Corporation and the trip had to be put on hold till a later date. 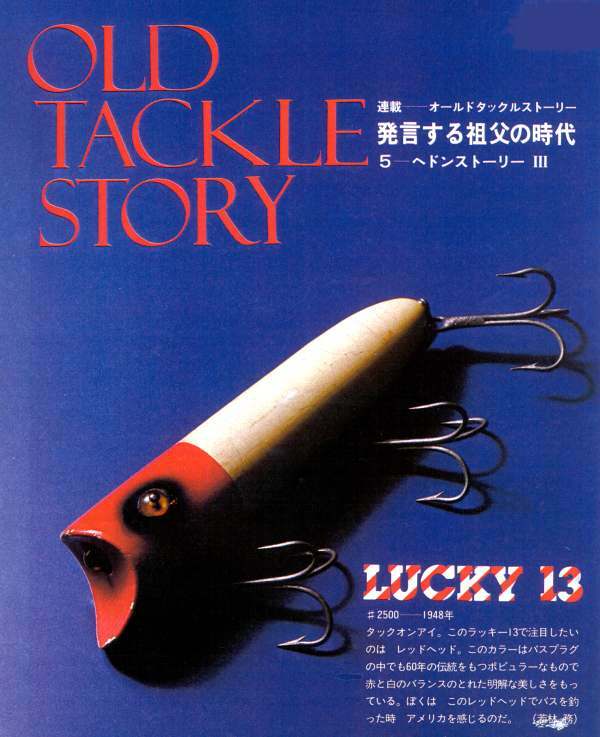 Mr. Tsutomu Wakabayashi wrote a series on old American lures titled "Old Tackle Story" for the "Fishing" monthly magazine while he was employed by the Smith Co. Ltd. Mr. Harbin supplied Mr. Wakabayashi with Heddon lures, 35mm color slides and ID information to use in his Old Tackle Story. 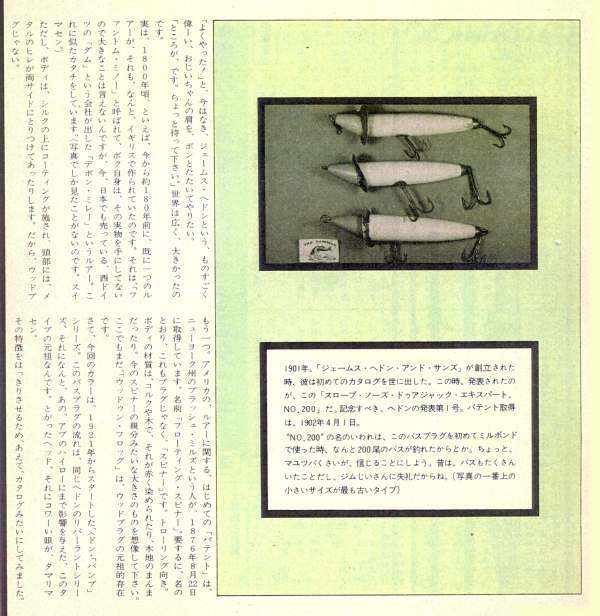 Mr. Wakabayashi stories appeared 16 times from March 1981 to June 1982 in the "Fishing" magazine. Through Mr. Wakabayashi series of articles on old American plugs he ignited the interest for antique lure collecting in Japan. 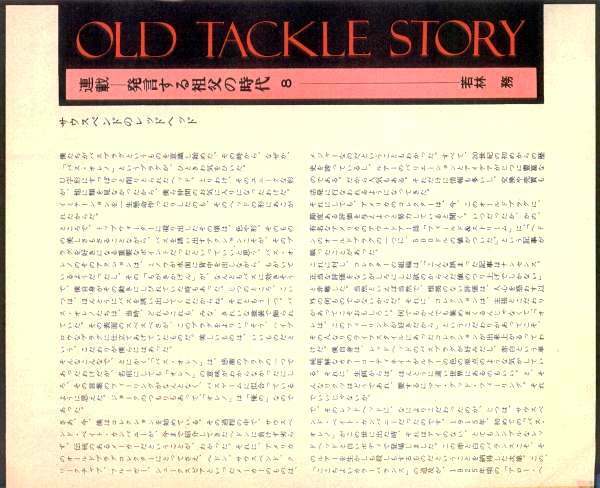 In his last article he dedicated the Old Tackle Story series to Mr. Harbin subtitling it "Thanking Mr. Clyde A. Harbin". 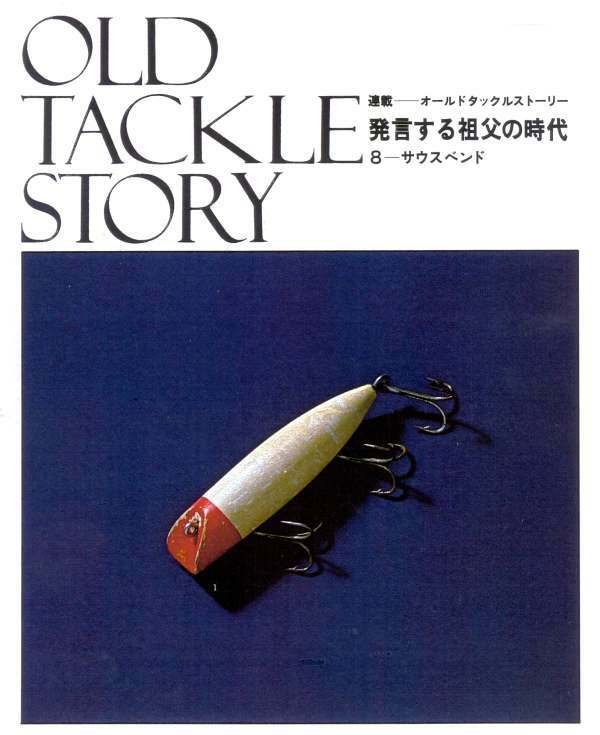 Mr. Wakabayashi used the below picture of Mr. Harbin pointing to a Heddon Radiant lure in his 1980 "Old Tackle Story" for the popular Japanese "Fishing" magazine. 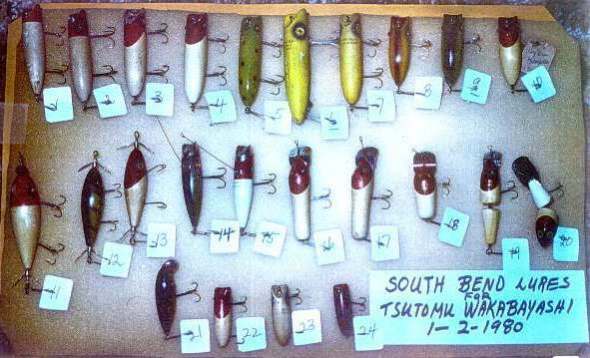 In his article Mr. Wakabayashi explained he had acquired many old lures along with identification information from the famous Mr. Harbin from Memphis, Tennessee, USA. Mr. Tsutomu Wakabayashi went on to work for the Japan Game Fish Association and now holds the prestige title of Secretary-General of the Japan Game Fish Association. The below list of Japanese old lure collectors and NFLCC membership was created by Mr. Harbin May 19, 1983 and revised January 4, 1989 and October 1, 1998. The date signifies the first written communication from Japanese collector to Mr. Clyde A. Harbin Sr.
Mr. Wakabayashi was the first Japanese old lure collector to join the National Fishing Lure Collectors Club. Because of Mr. Wakabayashi's involvement in Japanese Bass Fishing and Old Lures in Japan along with Mr. Harbin's assistance the Japanese NFLCC Membership has grown considerably since that day in 1978 when Mr. Wakabayashi joined the club. Today in the 2000-2001 NFLCC Membership book there are thirty-three Japanese collectors listed. Mr. Wakabayashi stopped collecting old lures after he was married in 1982. Although he does not actively collecting lures anymore the old lures he obtained from Mr. Harbin still remain in his possession. Mr. Wakabayashi and Mr. Harbin became very close dear friends and after more than a twenty year friendship they still maintain close contact with each other. Mr. Tsutomu Wakabayashi, Mr. Clyde A. Harbin Sr. and The Smith Co. Ltd. made a significant contribution to Japanese bass fishing and Japanese old lure collecting. We Congratulate You and Applaud Your Efforts.